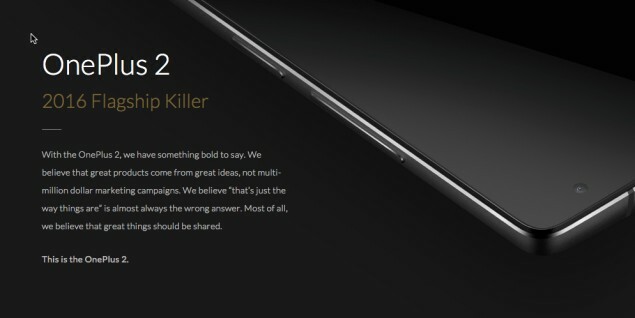 If there is one thing which is making everyone crazy, it is the latest OnePlus 2. OnePlus 2 is currently the hottest thing out there in the market and it is making a lot of buzz in the town. Everyone is talking about the things it has like Type-C Charging Port, Finger Print Scanner etc. However, in this post, we will talk about the second side of the coin which is the things OnePlus 2 should have added. OnePlus One was appreciated a lot for its battery performance and users were expecting a lot from the battery of upgraded version. With most of the Flagship phones having Fast Charging, OnePlus lags behind as it does not feature any type of Fast Charging. Although, Type C is unique but, it is of no use if there is no fast or wireless charging. Wireless Charging could have created a much better impact than now. OnePlus 2 is also available in two storage variants just like OnePlus One. There are a 16GB variant and a 64 variant with no support for expandable storage in any of them. Although, 64 GB is enough but who doesn’t wish to have the choice and freedom to expand the storage. There is no 32GB or 8GB variant considering the demand of the phone. Users would have loved to see few more storage variants for this amazing smartphone. The absence of NFC came as a big shock to everyone as OnePlus One proudly boasted of NFC Chip. NFC comes very handy while transferring data or while paying via mobile. NFC also helps a lot when used with NFC tags. The company says that users were not using the NFC in OnePlus One so they decided to remove it in OnePlus 2. Really? One of the biggest thing which was not there in OnePlus One was the IR Blaster and the legacy continues with OnePlus 2. There is still no IR Blaster in the device which means you can’t use it as a universal remote. Let’s hope OnePlus will come up with IR Blaster in next version of the device. Till then, let’s wait. One of the biggest drawback with OnePlus is the invite system. You need a special invite to buy a OnePlus phone and getting the invite is not an easy task. With invites rolling out at snail’s speed, the question still remains the same, when will OnePlus start selling devices without any special invite right from the start. There is no doubt in the fact that OnePlus 2 is a great piece of technology and is still among one of the best smartphones currently available in the market. The famous saying, Nothing is perfect fits very aptly here. Let us know which feature you would have added in OnePlus 2 or are missing in the latest Flagship Killer.